In this Nov. 15, 1955 file photo, Swedish actress Anita Ekberg, poses for a photograph on her arrival at London airport from Stockholm to take part in the film Zarak Khan, with Victor Mature, Michael Wilding and Eunice Gayson. 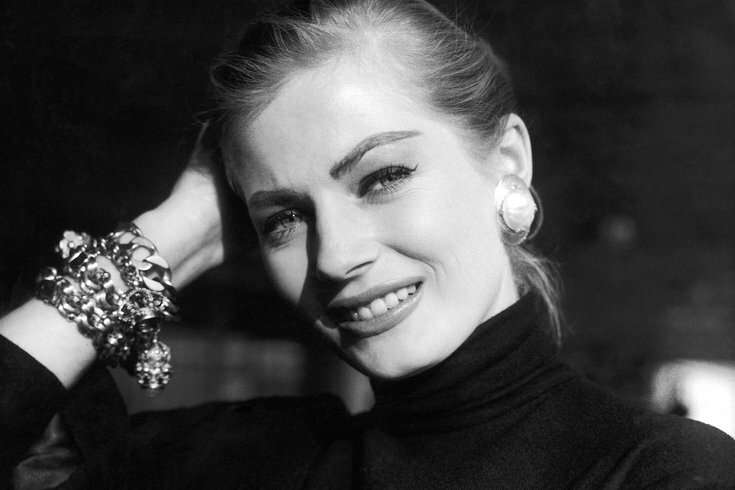 Anita Ekberg, the striking blonde Swedish actress whose sashay through Rome's Trevi fountain in "La Dolce Vita" made her an icon of cinema, died Sunday at 83 at a clinic near the Italian capital, her lawyer said. Ekberg, who was born in Malmo, Sweden, saw her career take shape after she was crowned Miss Sweden in the early 1950s. But she shot to global fame in 1960 after playing the capricious actress Sylvia opposite Marcello Mastroianni in Federico Fellini's celebrated "La Dolce Vita" (The Sweet Life), about decadent high society in Rome. The late Fellini later directed her in "Boccaccio '70" in 1962 and in "Intervista" in 1987. Ekberg appeared in a number of films with some of the most famous actors of the 20th century, including Audrey Hepburn and Henry Fonda in "War and Peace" (1956), winning a Golden Globe as Most Promising Newcomer that same year. In "4 for Texas", a 1963 comedy western, she shared top billing with Frank Sinatra and Dean Martin. She had already appeared with the comedy tandem of Martin and Jerry Lewis in movies shot in the 1950s. Ekberg was courted by eccentric tycoon and filmmaker Howard Hughes and subsequently married two actors from whom she later divorced. Later in her life, she said that Sinatra had asked to marry her, and she had declined. She had no children.